We love the way our hair looks after a fresh blowout, but who has the time or money to head to the salon on a regular basis? Unfortunately, achieving the same professional results at home has always been easier said than done. We typically end up fumbling with hot tools and wishing we had an extra arm, not to mention an extra 30 minutes. But just as we were about to give up and commit to a life of trusty topknots, our haircare prayers were answered with InStyler's Glossie Ceramic Styling Brush. This all-in-one tool combines the heat of a blowdryer with the styling capabilities of a brush. Want to see how we use the Glossie? The Glossie Ceramic Styling Brush has all of the benefits of a traditional flatiron, but there's more—it also eliminates frizz and boosts shine in just one pass. The powerful ceramic plates are surrounded by ionic bristles so we can get extra close to our roots without burning our scalps. Best of all, it works for a variety of hairstyles, whether you want smooth, pin-straight hair or face-framing flips. We'll try anything that simplifies our morning routine once, but a product that does so much better than the rest earns a permanent place on our vanities. The Glossie Ceramic Styling Brush is a worthy addition to our haircare arsenal, as it never fails to offer up expert-level styling in record time. It's not our fault if people mistake our hairstyles for just-left-the-salon blowouts. 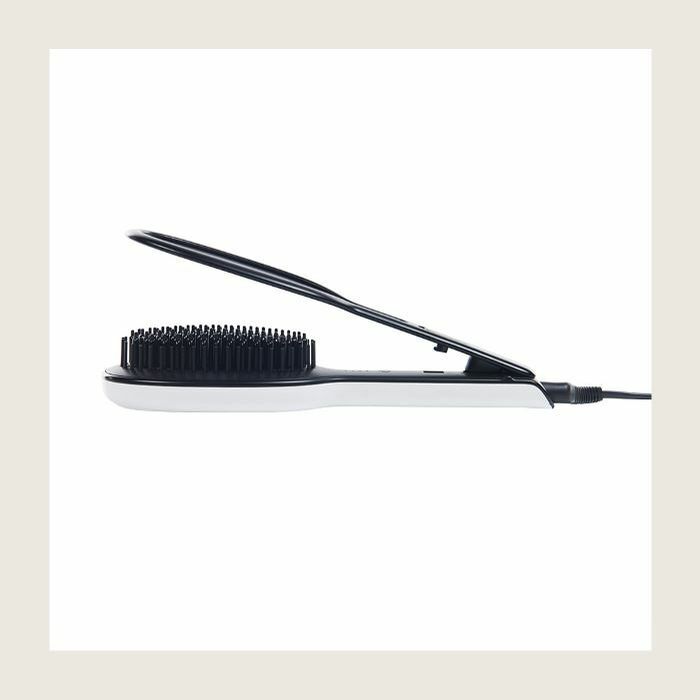 The Glossie Ceramic Styling Brush is available online at InStyler.com. Purchase yours now and you'll be one step closer to achieving salon-status hair at home. Are you ready to reach your hair goals?